The 2018/19 Fellowships provided by Mrs Annie Reid Knox for the Frank Knox Memorial will enable students from the United Kingdom to study at Harvard University. At least $30,000 plus tuition and health insurance fee per annum. Recipients who are admitted to a Harvard degree programme requiring multiple years of study are guaranteed two years of Knox funding, provided they remain in good academic standing. Degree candidates in their third year and beyond are eligible to apply for additional support. Recipients who are admitted to one-year degree programs or as Special Students or Visiting Fellows will, ordinarily, be guaranteed funding for one year. In the same application season as applying for a Knox Fellowship, each candidate must file an Admissions Application directly with the Graduate School of his/her choice at Harvard University; and each candidate must meet the admission requirements and timetable of the School concerned. Candidates are urged to begin correspondence with the particular School at the earliest possible date. 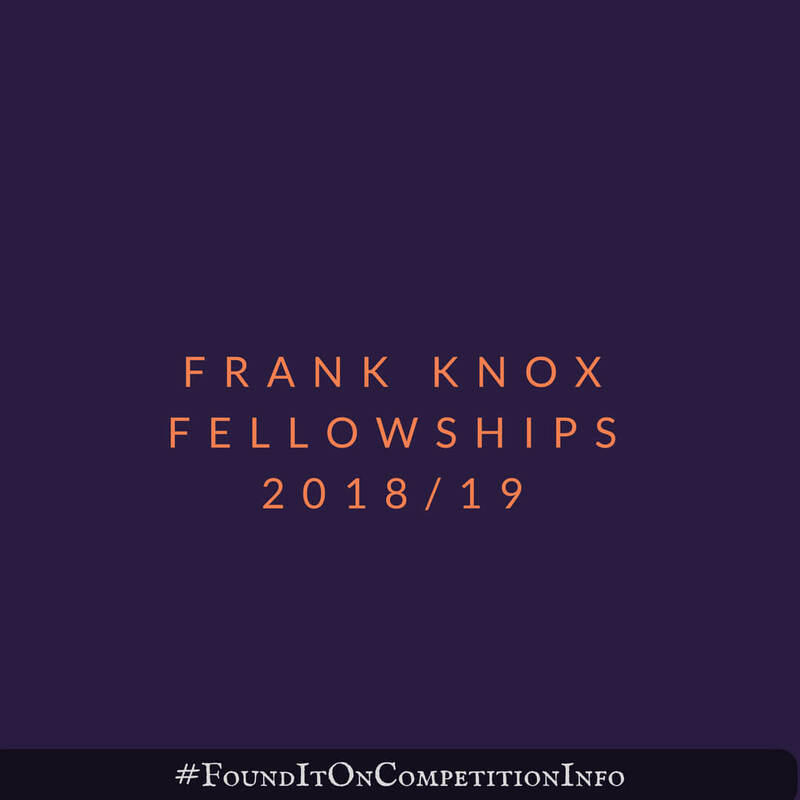 Admission to a School is a prior condition of the award of a Knox Fellowship. Awards made at interview in January are therefore provisional, pending admission to the chosen School and programme in the Spring. References must be submitted online by midnight on Wednesday 1st November, 2017.